The 2019 Heimtextil Trends Space, ‘Toward Utopia’, was conceived by London’s FranklinTill Studio. 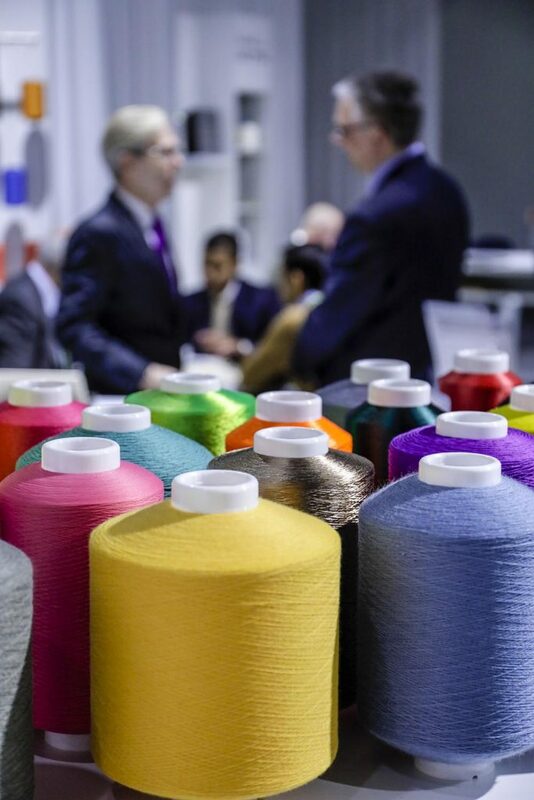 Attracting over 3,000 exhibitors to Frankfurt in Germany, the 49th Heimtextil home textiles show kicked off the 2019 textile trade fair calendar from January 8-11th. 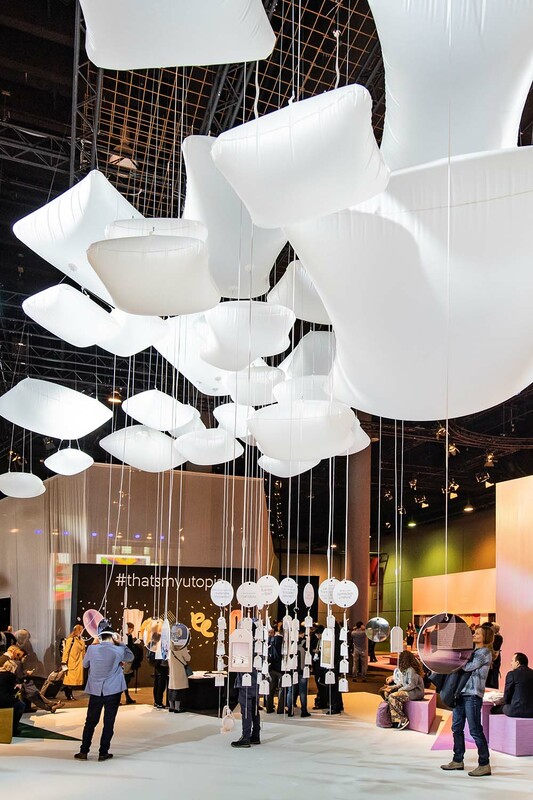 The European home textiles market is worth around an annual €27 billion and serviced by a decidedly global supply chain, reflected in the event’s participants hailing from no less than 65 countries. Among them were some of the leaders in fibers and raw materials, such as Germany’s Trevira, which leads the field with its Trevira CS-branded inherently flame retardant fibers for the home and hospitality sectors. Trevira had an extensive display covering over 2,200 square meters and featuring the products of 26 of its customers at the Frankfurt show. 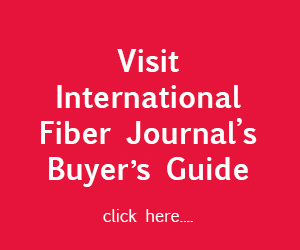 The company reports that the principal customers for its flame-retardant fibers and filaments continue to be producers within Europe, especially in Italy and Germany, and strong sales of these – buoyed by the current trend towards smoother, brighter designs – helped it achieve sales of €235 million in 2018. Trevira has also recently introduced flame retardant filament yarns made from recycled PET bottles, based on high-quality raw materials supplied by its parent company, Indorama Ventures in Thailand. Since only transparent PET bottles are used in Thailand, the bottle flakes and the chips obtained from flakes are of a particularly good, very uniform quality. Trevira adds a flame retardant additive to them which is securely anchored into the filaments as they are being extruded. 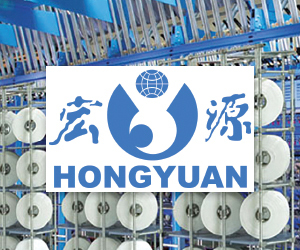 Over the course of 2019, the company says its flame-retardant fibers will become antimony-free as standard and it is later planning to expand this to filament yarns. For outdoor furniture fabrics, Trevira now has a range of 22 spun-dyed filament yarns – dyed by adding color with the master batch to the spinning mass, when a UV-stabilizer is also added to achieve a high degree of light resistance. A much cheaper and more energy-efficient method for creating popular mélange effects than using different colored yarns is enabled with Trevira’s air-textured (ATY) and draw twisted (DTY) filament yarns that can be colored with cationic dyes. These can be combined with discationic yarns in a one-step dye bath and absorb different amounts of color to create the mélange effects. 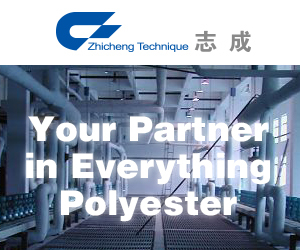 Cellulosic fiber leader Lenzing presented a range of home textile products made from its latest Tencel lyocell with Refibra fibers, manufactured by mill partners in China, India and Turkey for end-users across Europe and the United States. Refribra is based on upcyled cotton scraps reclaimed from the manufacturing process that can be added to Tencel, which is already manufactured in a closed-loop production process, for an even stronger sustainability message. Over 800 producers of textiles for bedding exhibited at this year’s Heimtextil, with 140 of them taking part in a special Smart Bedding display, with a focus on the latest sleep systems, mattresses, bedding and smart sleep technology, such as intelligent pillows, noise-reducing earplugs and sleep trackers. For those suffering from sleep-related problems, some of the latest fiber additive technologies, such as microencapsulated active ingredients and phase-change materials, can make a significant contribution to assisting a good night’s rest. 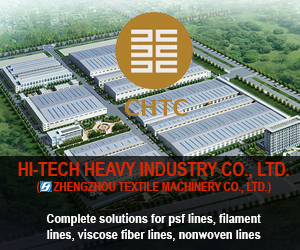 Outlast Technologies, based in Golden, Colorado, has promoted the use of its climate-regulating phase change materials (PCMs) for bedding for a number of years, and at Heimtextil showed a range of knitted and nonwoven fabrics made from 100 percent recycled PET incorporating its additives. The company’s Xelerate, is designed to help the many people who suffer from intolerable heat build-up during the night, making it hard for them to sleep. Outlast’s regular PCMs absorb, store and release excess body heat to reduce overheating and sweating, but with Xelerate are combined with a new heat spreader technology. Outlast PCMs can be supplied either as a coating formulation, or now encapsulated into polyester, acrylic and viscose fibers. 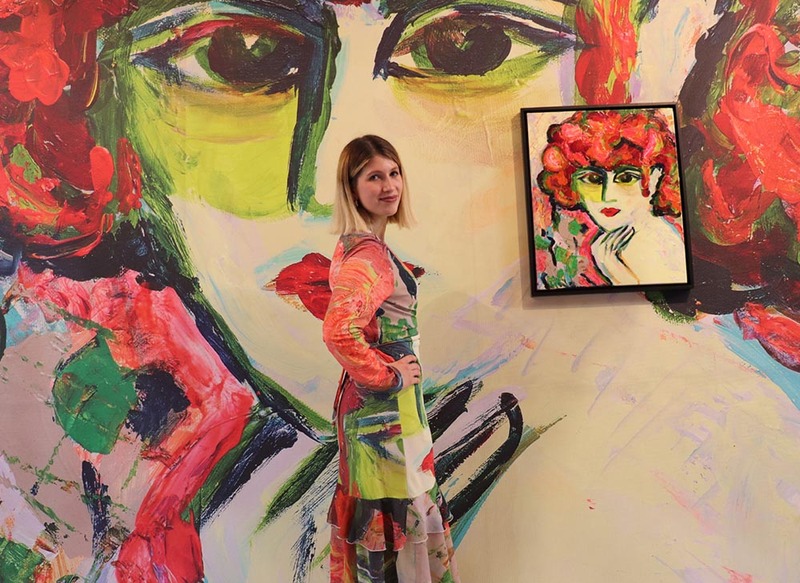 Digital printing has made a big impact on the home textiles sector, with some stunning displays from technology companies like Mimaki at Heimtextil 2019. Devan Chemicals, of Ronse, Belgium, has developed the R-Vital range of microencapsulated active ingredients that boost textiles with anti-oxidative effects. Attached to fibers, the microcapsules burst upon friction to deliver antioxidants to the body. 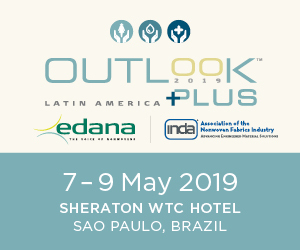 “The microcapsules act as reservoirs of active ingredients that are stored and protected in the core from the surrounding environments like textile treatment processes, temperature, light or oxidation,” explained Dr. Roberto Teixeira, Strategic R&D Manager at Devan. “In addition, the microcapsules allow an efficient fixation and consequent increase of the durability of the boosted textile. 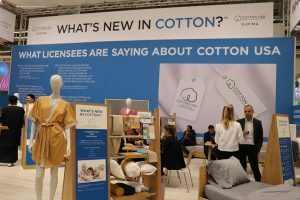 Cotton USA returned to Heimtextil with a number of partners as part of its What’s New in Cotton promotional campaign. This is aimed at disproving the general conception that innovation is solely the domain of synthetic fiber manufacturers. Cotton USA returned to the show with a number of partners as part of its What’s New in Cotton promotional campaign. Among partners was Colorado-based Cocona, promoting its patented 3.75 technology based on naturally derived activated particles that trigger in response to raised humidity, drawing on the body’s own energy to remove moisture from the body. 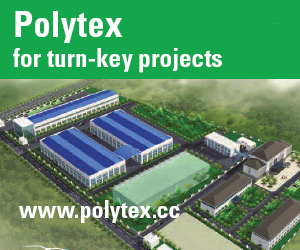 Other Cotton USA partners include Solucell, of Milan, Italy, which is engineering cotton yarns with sophisticated hollow channel structures in a proprietary technique. Solucell Air yarns allow the production of fabrics that are extremely light weight, soft touch, thermo-regulating and possess moisture management properties, via a manufacturing route that is entirely free of chemicals. The CottonX skincare technology of Argaman Technologies, based in Jerusalem, Israel, meanwhile infuses 100 percent natural cotton with a copper compound which helps promote skin regeneration and collagen synthesis, for smoother and healthier-looking skin. There are no coatings involved in the processing of 100 percent cotton, and Argaman plans to introduce a flame retardant cotton based on the same process, which could have a big impact on the home textiles market. Finally, Hap Company, based in Tokyo, Japan, claims that no less than 10 separate functions can be added to cotton with its Coveross Wizzrd technology, which is based on the incorporation of five types of mineral into cotton fabrics. It lists the performance properties that can be obtained as rapid absorption, cool touch, UV protection, thermal barrier, opacity, sweat prevention, anti-bacterial and deodorizing effects, pollen repellency, eco-cleaning and anti-pilling. 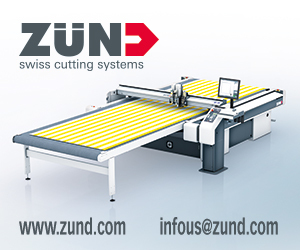 The company advises, however, that it is constantly aiming for improvements in wash resistance, since these functionalities via the Coveross Wizzrd process are not as yet totally permanent.